Best stone to detoxifying liver ailments. Beneficial for arthritis, Diabetes and Hypertension Patients. 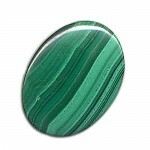 Pregnant women must wear this stone for healthy child. Good Digestive system, Relieves Constipation and Acidity.